Apex Construction was hired to install new windows and vinyl siding on this Ocean Pines, MD residence. 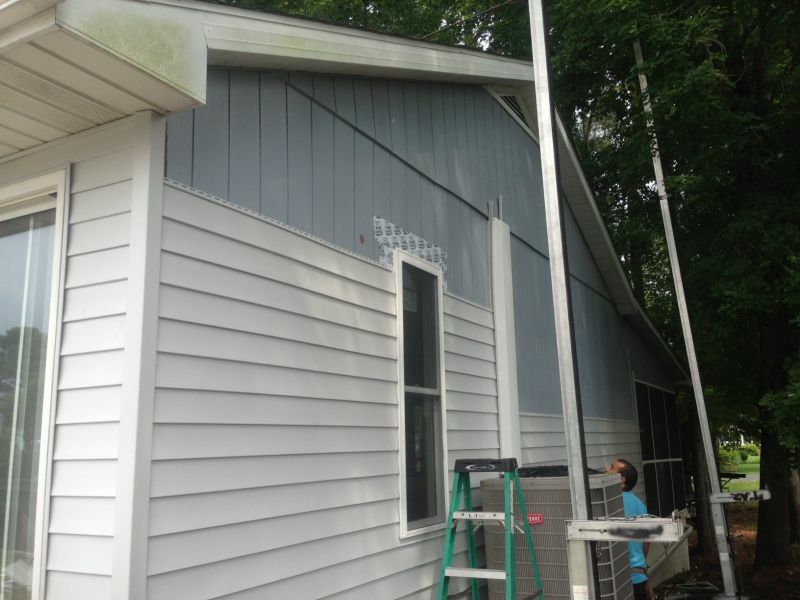 Vinyl siding is becoming an increasingly popular upgrade in the Ocean Pines community. Just look around your neighborhood and take a quick survey of everyone's exterior. Most likely you'll find overlapping wood materials that seem sturdy and authentic. Or will you? Take a closer look and you may discover a hidden secret: what actually appears to be wood paneling is vinyl siding. Not only is it known for its durability and toughness, it's also quick to install, comes in any style, and is very affordable. Vinyl siding is constructed out of a PVC plastic resin, which makes it remarkably strong. Unlike metal or aluminum, it won't rust, conduct electricity, or dent: even if a baseball hits it, the plastic simply bounces back. And unlike wood, it won't warp, rot, or chip. It also holds up against the elements since it's rain, sun, and wind resistant. It won't wear down in the humidity nor become affected by air pollution. In fact, it's so long-lasting (it can sometimes retain its physical qualities for up to 40 years) that many times it'll come with a manufacturer's guarantee. However, the real benefit of the material is its resistance to sticker shock. Since it's manmade, it's also one of the cheapest materials around. 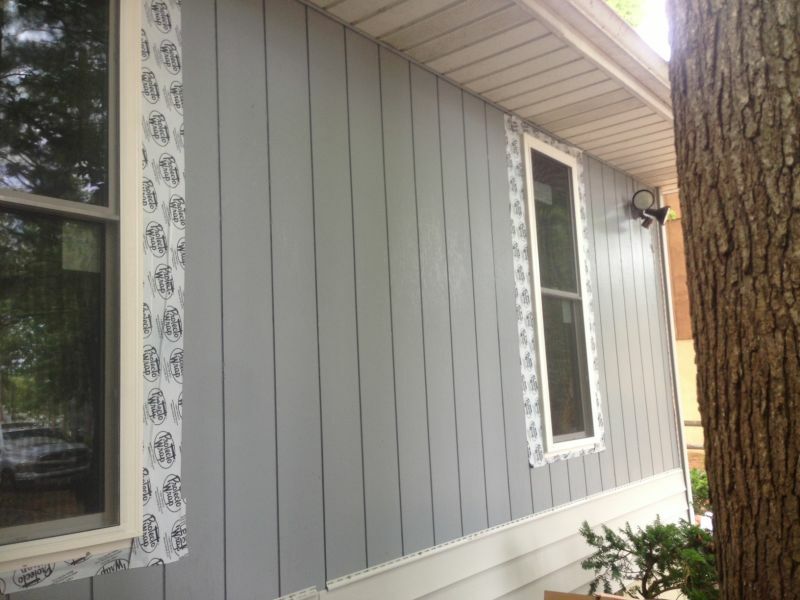 Plus, unlike aluminum or wood, vinyl siding installation is quick, easy, and undemanding, which also helps to reduce the overall price of the product. Another benefit of vinyl siding is its overwhelming range of styles, designs, and colors. Since it can be produced in any particular shade, it literally comes in any color to fit your exterior needs. Though it offers all the luxuries of plastic, a vinyl siding installation can still perfectly imitate the appearance of freshly painted wood for true authenticity. Even historic homes have succumbed to its convenience since it can perfectly replicate real wood paneling. It comes in different clapboard widths, horizontal and vertical styles, and even different textures (from smooth to wood grain). It's also very elastic in order to achieve the right look for your house. Some manufacturers even offer a range of decorative classic millwork that coordinates with their systems, including door and window surrounds, shutters, corner posts, and dentil moldings. Vinyl siding requires very limited maintenance. It won't attract termites or pests. 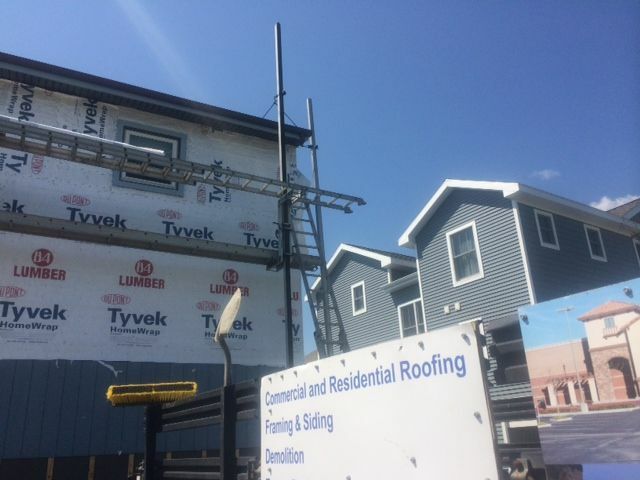 If you hire the right people for the initial vinyl siding installation, it can act as a great insulator to protect your home against extreme temperatures (saving you additional money on energy bills). Also, you'll never have to paint again. Since the entire product is cast in a certain color, the shade goes all the way through the material. Therefore, it'll never peel, flake, or scratch like painted surfaces. Not only does this save you on aggravation and sore muscles, it can also save you from hiring a painting crew every few years. It may fade every 5-10 years, but you'll simply need to buy an occasional replacement panel instead a whole new exterior. However, you should clean it once a year (a power washer can help, but a hose can also do the trick). Also, although the paneling is maintenance-free, the rest of your house may not be: if you have wooden shutters, metal doors, or aluminum trim, you'll still need to tend to these specific areas of the home. First off, it's durable but not impenetrable. If it is grazed by a lawn mower or snow blower, it will get chewed up and crack. If there are high winds and the paneling isn't fully secured (usually due to a faulty install), it'll come off. And when it comes to PVC, there is no patchwork: entire panels will need to be replaced. Also, if not properly installed, it can leak, which then makes it vulnerable to all the elements it is meant to avoid: rot, infestation, and decay (some installers even put weep holes into the underside of the panels to avoid water buildup). PVC paneling appears on 90% of homes in America, which means if you want your house to stand out on its own this isn't the product for you. However, since it comes in so many different sizes, textures, and colors you have a lot of options to still be different within the exact same medium. 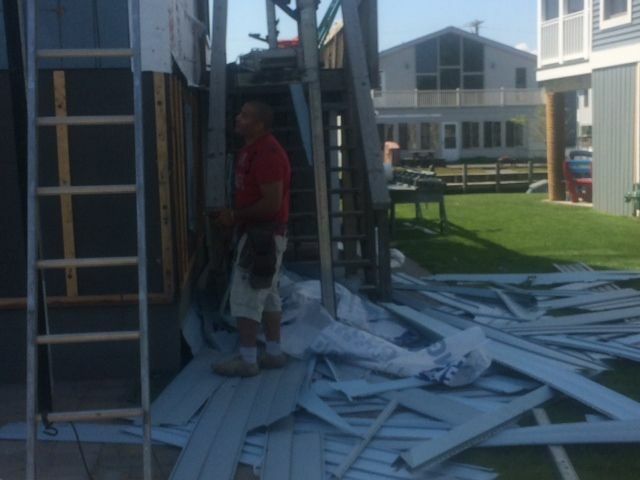 Apex Construction was hired to install vinyl siding on this residential home in Bethany Beach, DE. As more new homes are built and older homes are refinished, the popularity of vinyl siding is hard to ignore. Builders have just as many siding options as they’ve always had, probably more, but vinyl siding fits the bill in a majority of cases. Vinyl siding offers the builders and homeowners benefits that other forms of siding just can’t match. Contact Apex Construction to discuss your next framing, roofing, or siding project. 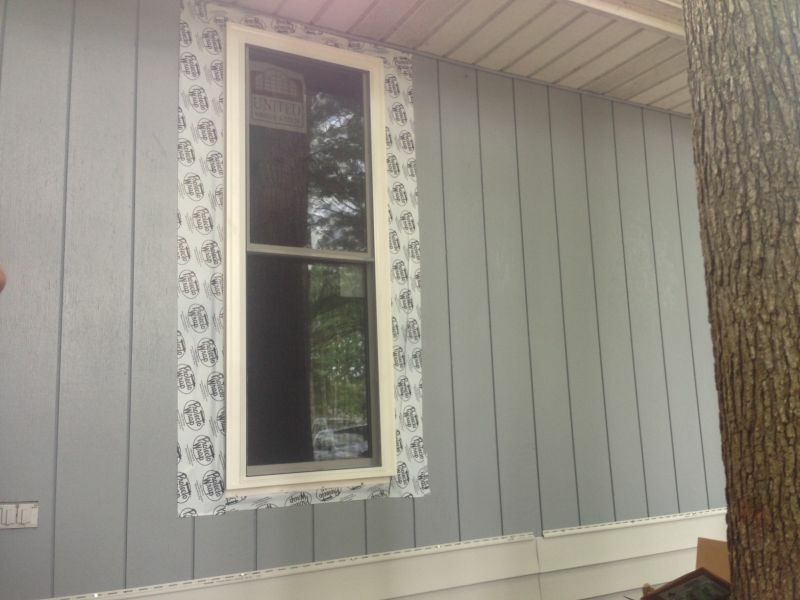 Obviously, price is one aspect of new siding that has a big effect on the type you get, and even if the project gets done at all. Vinyl siding is available in different styles designed to fit different budgets. And it is usually less expensive than brick, stucco, aluminum or wood siding. That’s not to say vinyl siding is cheap, but it is usually possible to set a reasonable budget and stick to it until the house is completed. This is such a benefit because there are often more jobs being done than just the siding, and inflating the budget on one part will take away from the others, no matter how important it is. 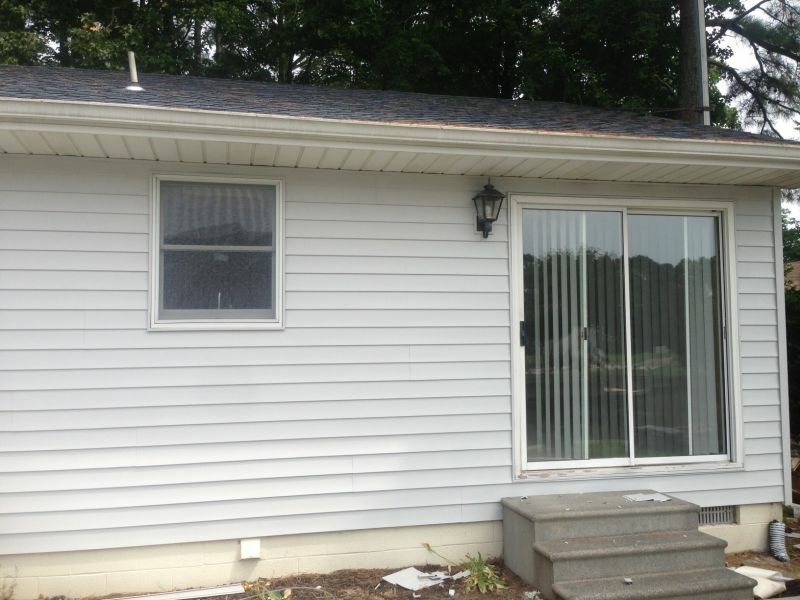 To say that vinyl siding is low maintenance is somewhat of an understatement. In fact, it is more or less maintenance free. Vinyl siding never needs to be painted, which also means it never has to be stripped and re-painted. It also never has to be sealed, and many of the insects that you have to think about with wood siding like termites are never an issue. If anything, all you will need to do is hose down the siding if it gets muddy due to the weather. Vinyl siding won’t dent, chip, rot or peel, which means you barely have to do anything to keep it looking fresh and new. It will also improve the energy efficiency of the home, which will lower heating and cooling bills and may increase the value. Putting up vinyl siding allows the homeowner to turn his focus to other parts of the property and just let the siding take care of itself. You won’t find too many people who will say that vinyl siding isn’t pleasing to the eye. Installing vinyl siding usually breathes new life into a home and gives it a fresh and exciting look. Depending on your budget, you’ll have a choice between smooth and grained surfaces and high or low gloss in several different profiles. The variety in styles and patterns enable you to create unique and custom designs that are available in virtually any color you can think of. Since vinyl siding is designed to cover up the exterior you already have, it gives you the opportunity to completely change your home’s appearance when you decide to put it on. You may even want to ask for some extra opinions and points of view before you decide to customize your vinyl siding. There is a lot of potential mixing and matching to do, so you want to be sure that the theme and color patterns you choose be in line with the rest of the house. In all likelihood, once you have vinyl siding installed you won’t have to think about it again for a long, long time. That’s partly due to the low maintenance feature, and partly due to the durability of the product. Statistically, vinyl siding will last about ten times as long as wood siding. Modern vinyl siding stands up against extreme weather, UV rays from the sun, plus pollutants, salt and other chemicals. 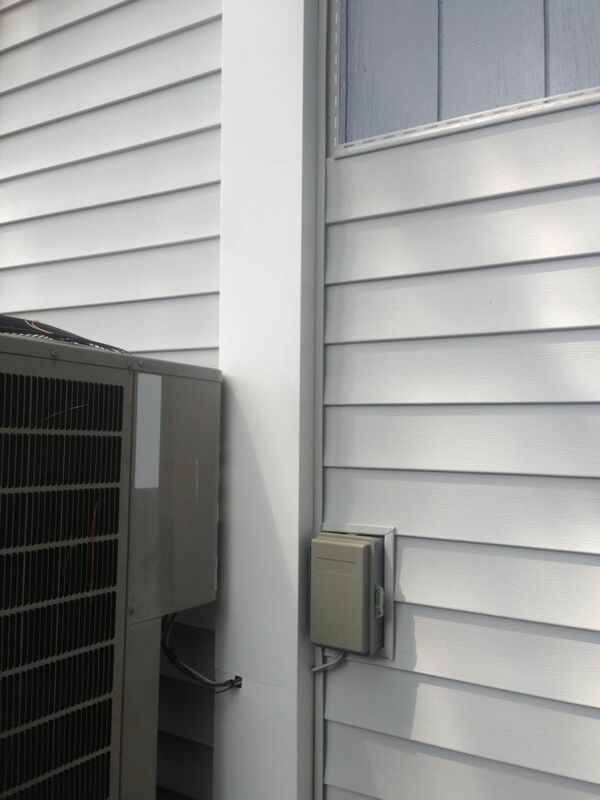 Scratching and denting is also not a concern when it comes to vinyl siding. Who wouldn’t want siding for their home that costs less, looks great, requires little work and lasts a very long time? The world of vinyl siding is always changing and evolving, so even if you haven’t been a fan in the past, give it a look before you put that new siding on your house. You just might be surprised at what you find. Contact Apex Construction for questions regarding vinyl siding or any other residential or commercial construction work. 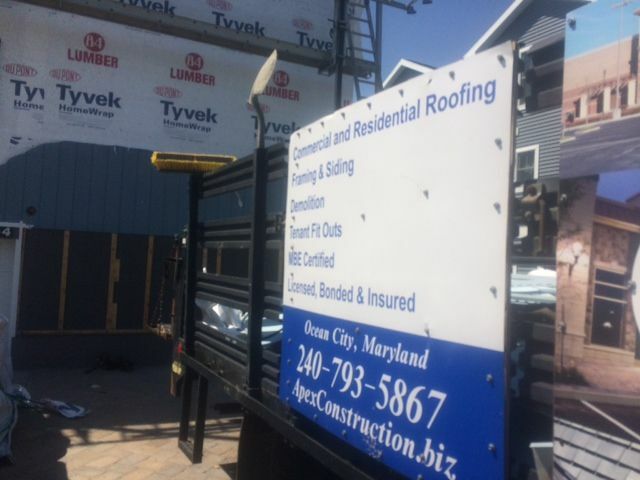 We are full service construction contracting firm located in Ocean City, MD.